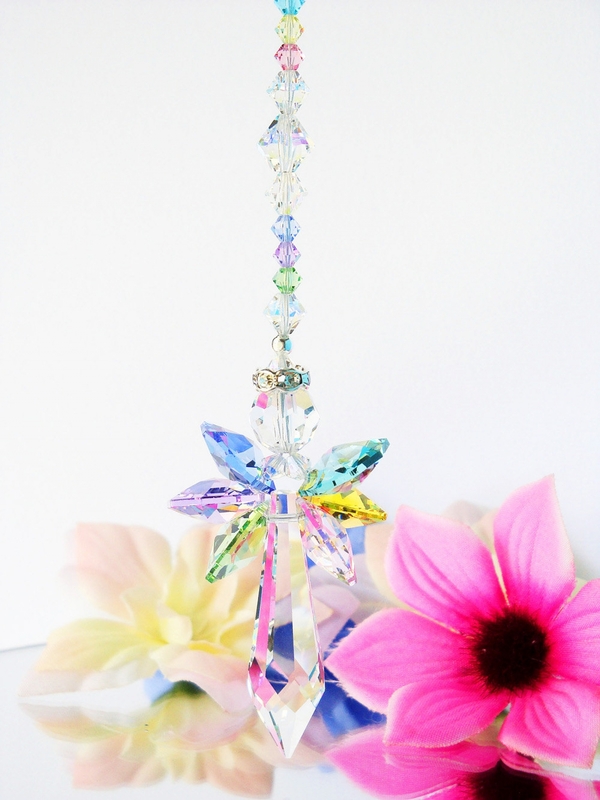 Guardian Angel Rear View Mirror Charm created with Swarovski Crystals in rainbow pastel colors. 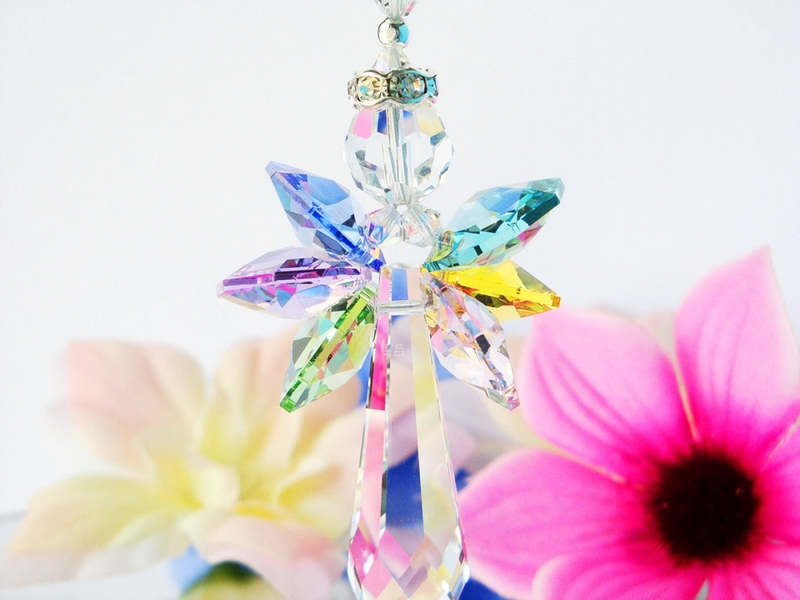 Swarovski Octagons in Pink Rosalin, Light Topaz, Antique Green (Teal), Sapphire Blue, Violet, Peridot Green and Aurora Borealis Crystals to form the wings and then matched the rest of the design with those same colors. 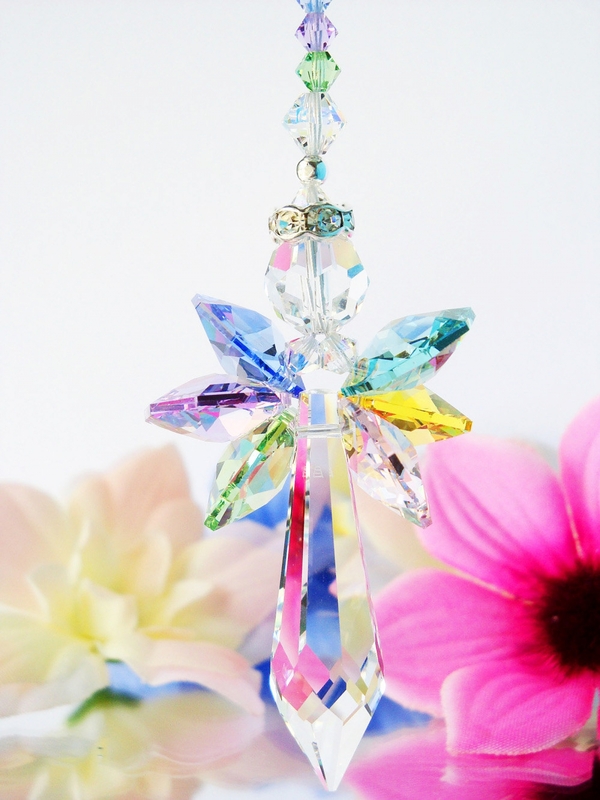 The Crystal Hanger measures 5" long and comes with 6" of adjustable silver plated chain. 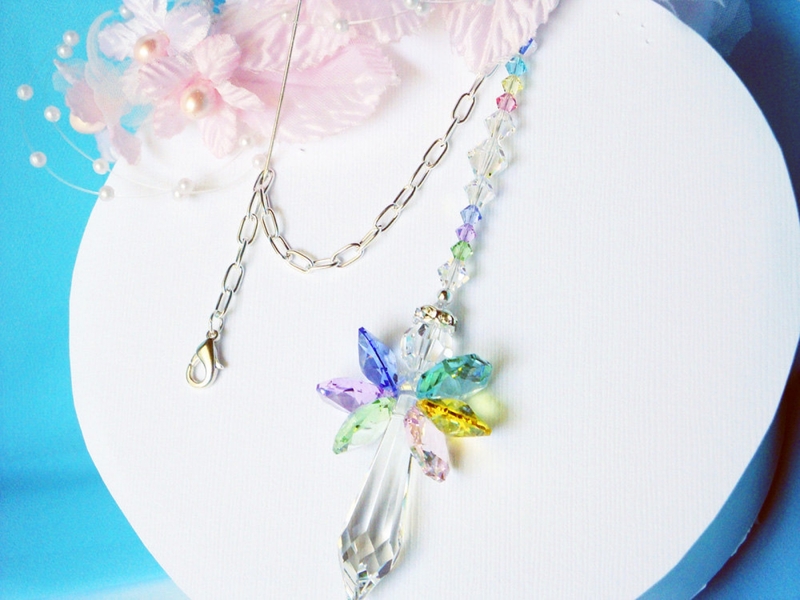 Simply use the lobster clasp on the end of the chain to hook onto a link to make it any length you would like. 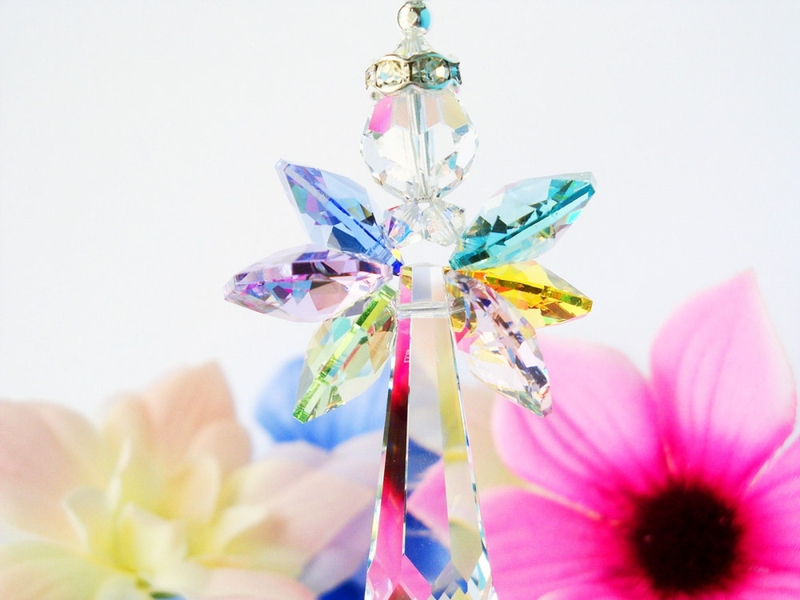 ~Comes wrapped in a beautiful white box ready for gift giving.